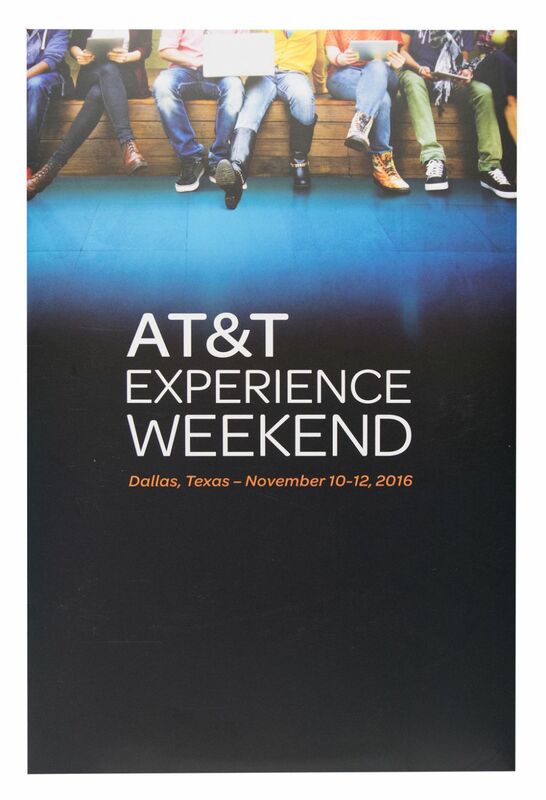 Following a team-building weekend during which AT&T potential hires learned about the company and its plans for the future, AT&T wanted a special gift for each attendee incorporating its conditional offer of employment. Making it through the AT&T selection process is a big deal, and the company made that clear in the way it delivered its official job offer. 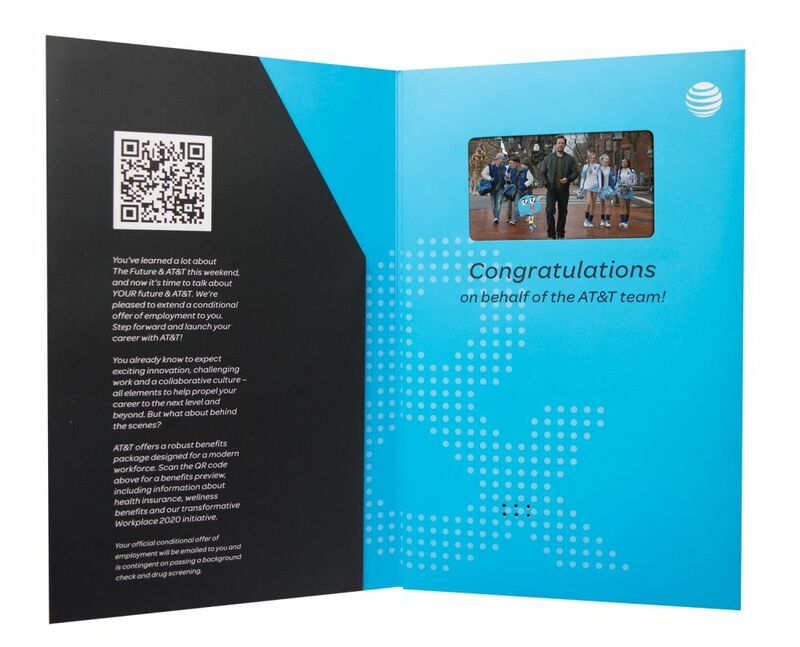 Americhip’s team designed a congratulatory Video Brochure complete with our 4.3” VIP Screen embedded in the oversized welcome folder. A flap on the inside held the important materials and also included a QR code that recipients could scan to preview the company’s employment details, health insurance and wellness benefits. The Video Brochure was the icing on the cake and gave the new hires a memory to last a lifetime on how their careers were launched at the iconic company.